: There are a total of 3 EV charging stations within a 10-mile radius of the center of 01010 (Brimfield, MA). Tax incentives and/or other incentives for drivers of electric vehicles in 01010. Massachusetts Department of Energy Resources' Massachusetts Offers Rebates for Electric Vehicles (MOR-EV) Program offers rebates of up to $2,500 through December 31, 2018, to customers purchasing or leasing a plug-in electric vehicle or zero emission motorcycle. Beginning January 1, 2019, MOR-EV will offer rebates of up to $1,500 toward the purchase or lease of eligible battery electric and fuel cell electric vehicles. Rebates are available to Massachusetts residents and residents must submit applications within three months of the vehicle purchase or lease date. Applicants must retain ownership of the vehicle for a minimum of 36 months. For more information, including application and eligibility requirements, visit the MOR-EV website. Applicants may receive funding for a maximum of 25 vehicles, including BEVs, PHEVs, and zero emission motorcycles. Funding of up to $7,500 per address is also available for Level 2 EVSE associated with the purchase or lease of at least two BEVs. Incentive amounts vary depending on the number of BEVs acquired. For more information, including funding availability, application, and eligibility requirements, visit the MassEVIP Fleet Incentives website. Mass Energy's Drive Green with Mass Energy program provides discounts on qualified PEVs purchased or leased from participating dealerships. 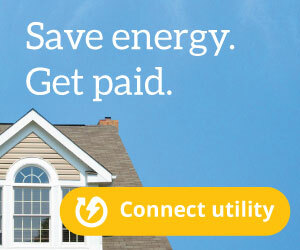 The discount program is available to all consumers, including those that are not in Mass Energy's service territory. For more information, including participating dealerships and the discounts they offer, see the Drive Green with Mass Energy website. 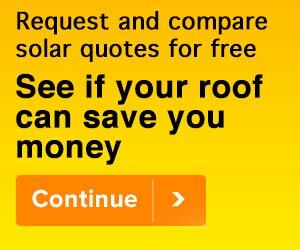 BELD offers customers a discount of $250 for the purchase of a qualified Level 2 EVSE. To qualify, customers must enroll in the Smart Charging Program. For more information, including eligible EVSE criteria, see the BELD Charging Incentives website. BELD’s Smart Charging Program offers a bill credit of $8 per month to customers that charge their PEVs between 9pm and 12pm the next day on weekdays or at any time during the weekend. For more information, see the BELD Charging Incentives website. A comprehensive list of electric vehicle (EV) charging stations in or near 01010 (Brimfield, MA). Search and compare EV charging stations in communities across the U.S., and find a local station when you need to charge your electric car.